Pioneers in the industry, we offer Prefabricated Building Structures such as Unequal Channels, Mild Steel Angle and Aluminum Gutter from India. 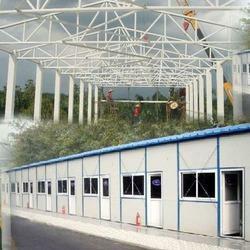 We are a famous manufacturer and exporter of a massive range of Prefabricated Building Structures. These sturdy and durable structures are made from superior quality raw materials obtained from the dependable vendors. Appreciated and accepted for their sturdy construction, vast space and minimal maintenance, these structures are widely demanded in the market. We are the leading manufacturer and exporter of Unequal Channels. This range is manufactured from finest grade stainless steel by highly experienced and qualified professionals employed at our organization. Durable enough for withstanding high pressure, these products find their usage in varied applications. 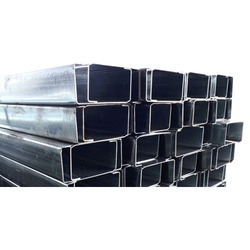 We are offering a wide range of Mild Steel Angle. These Mild Steel Angle is highly demanded by clients due to their smooth functioning and various applications. The length and thickness of two sides determine dimension of these mild steel angles. We also offer customization on our range as per the specification detailed by clients. We are the leading manufacturer and exporter of Aluminum Gutter. With the assistance of our trusted vendors, we can also customize these products as per the specifications detailed by our esteemed clients. These products are available with in diverse sizes, shapes and designs as per market preferences. These Metal Gutters are most excellent alternate for water gutters as they are long-term and necessitate very little or no preservation.